Brighton have signed Czech defender Ales Mateju from Viktoria Plzen on a three-year contract. The 21-year-old Czech under-21 international joins on undisclosed terms and Albion will monitor his progress in training and could loan him out. The defender has been a regular for top-flight Plzen over the previous two seasons and helped the club win the Czech championship in 2016. Albion manager Chris Hughton said: "Ales already has good experience playing regular senior football in his homeland - and has played Europa League football as well as qualification phases in the Champions League. "He has good experience for his age and the stage of his career he is at; we are delighted to welcome him to the club and the plan now is to break into the first-team group. "Initially we will monitor his progress in training over the coming weeks, and then make a decision in terms of what is best for Ales's development - and one of the options might be for him to go on loan in order to continue playing regular senior football." Mateju began his professional career with his hometown club Pribram and then spent a year on loan at PSV Eindhoven's under-19s during the 2013-14 season. 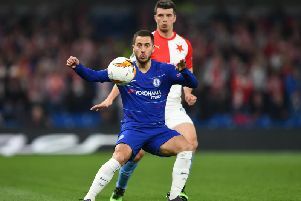 He signed for Plzen in 2015 and helped them become champions in his first season at the club, and to a runners-up spot and Champions League qualification in 2016/17. He has also played for the Czech Republic from under-16 through to under-21.